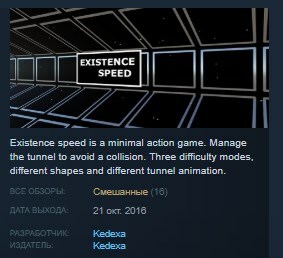 Existence speed is a minimal action game. Manage the tunnel to avoid a collision. Three difficulty modes, different shapes and different tunnel animation.